SNAFU! : Is Deptula right? Does the US have an air superiority crisis? Is Deptula right? Does the US have an air superiority crisis? The United States Air Force is suffering an air superiority crisis after 26 years of combat operations. Today, the service possesses just under 1,000 aircraft capable of air-to-air combat — F-15s, , F-22s, and F-35s. That is down more than 65 percent since the end of the Cold War. Given the global demands of our national security strategy, operational considerations, and force rotation factors, this amounts to fewer than 100 fighter aircraft available in a particular location at any given time. Fighters are employed in a rotational fashion—with one third of aircraft on station, another third returning to base, and the last third preparing to launch. That means in reality only about 30 fighters are immediately able to engage at any given time in a particular region. Put bluntly, that number does not cut it when it comes to projecting necessary air-to-air capability to meet increasingly lethal threats that are more challenging today than during the Cold War. What I do know is that I suspect the old Air-Sea Battle that was once pushed so hard was nothing but a game being played to justify further spending on air power. I think it was a backdoor attempt to establish a reason for being for the F-35 and the projected numbers for that program. Surface Navy, well the Navy in general played along at first and then went rogue. They developed a net-fires concept and you saw the proponents of Air-Sea Battle adjust and they started talking about the F-35 playing quarterback for Aegis Destroyers, aircraft carriers and the general force. It was silly in a handbag. I know what you're asking. What about Deptula's claim that we don't have enough aircraft to meet mission. I have to ask. How many of those missions are actually essential? How much of this is simply busy work to keep the force moving in a bid to increase funding. The US military faces a problem and it isn't numbers...yet. Its a problem of mass. Just like the Roman Legions we're spread out all over the known world trying to react to every flareup with penny packets of forces. If by chance or planning we have simultaneous problems on different sides of the planet then we'll be in a bit of trouble. 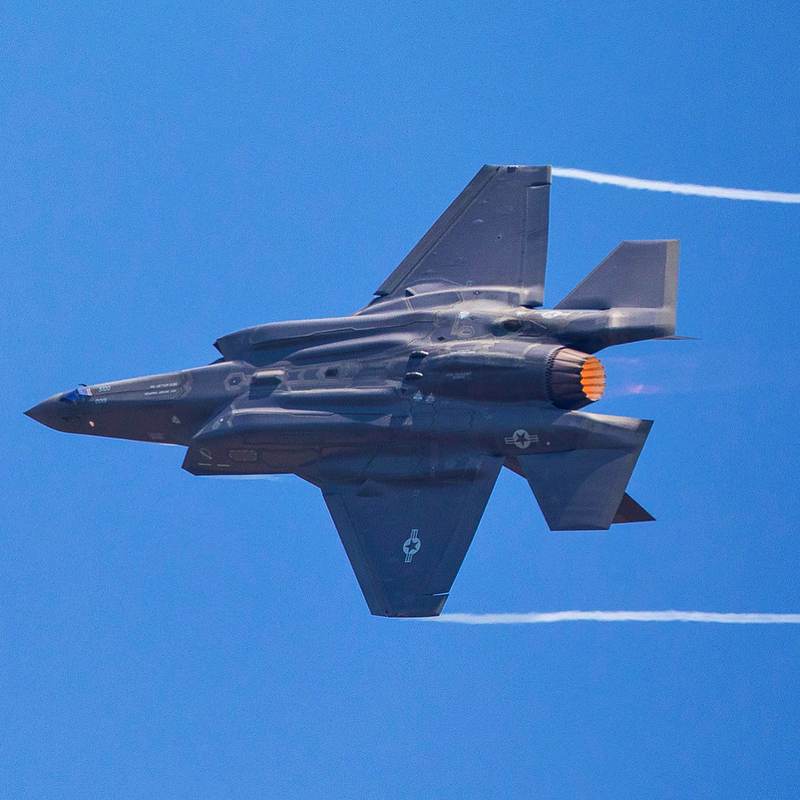 Do we have an air superiority crisis or a "too many commitments" crisis? I tend to lean toward the latter but that's just my opinion.